Posted in: Encouragement & Support. 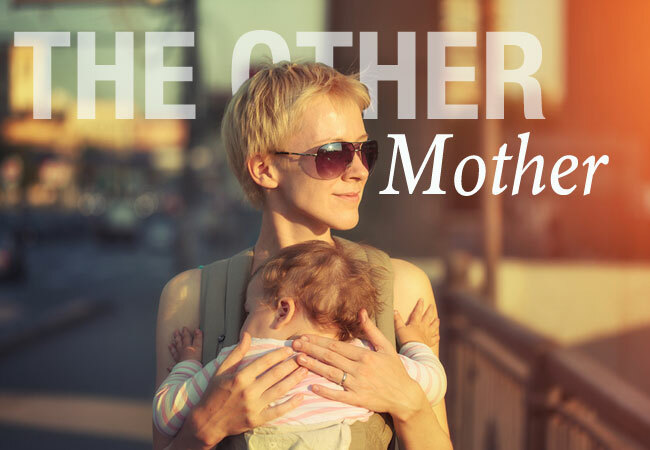 This mom breaks down the one true difference between herself and her foster child’s birth mom, and it’s beautifully humbling. Since day one, many have asked about “the new chick’s” biological mom. And for all seven of the months he’s lived in my house, I’ve put off writing about her. But there is a season for everything, and a time for every purpose under heaven. The first time I saw her it was in the Chambers County Courthouse. I looked up from admiring the five-day-old baby who was snug against my chest, and saw her walking toward us. I knew her by the tears pouring unchecked down her face. She humbly asked me if she could hold him, and I began to wonder at the world I had just entered. Ya’ll, there is nothing fundamentally different about she and me. The only thing that polarizes her life from mine is that I was given a gift when I was 6. Without that gift I would have been her. I would have chased this world and let it have its way with me. I would have made stupid decisions; looking to all the wrong things to make me feel happy and all the wrong people to make me feel loved. I would have given myself to a man way too early and gotten pregnant and had a baby. It would have been me watching the social workers walk out of the hospital with my firstborn son, still sore from giving birth to him. Handing my baby over to the social workers to be cared for by strangers. Wondering where he is and if he needs me. Missing his firsts and wanting him so desperately it hurts. Fearing that he wants Mama, but can’t have her. I hate the notion that her success will mean my greatest loss. And just as much, I loathe the idea that if she fails, I somehow win. Beth Lawrence is a preacher’s wife, mother of two and foster mother to one who loves helping other women feel less crazy while inspiring them to love Christ like crazy. You can catch up with her at her blog, Just Beth, and on Facebook, Pinterest, and Instagram. Helping your own Children: When a Foster Child Joins your Family. Last week, the foster baby that we had been taking care since he was born four months ago moved to another home, where he was placed with his older sibling. This young one came to us weighing only four pounds, and on a heart monitor. To say that our lives were changed would be an understatement, as my wife and I spent a great deal of time taking care of this little one, getting up at all hours to feed him, and give him what he need the most; love. My wife and I had begun the discussion between ourselves of adopting him, as we had come to love him as our own. When he left last week, my family was grief stricken at this loss. Just three days ago, he and his brother came back into our home, as their current foster mother is having surgery. The wounds on my wife’s heart were re-opened as she grappled with the her grief, and my children were thrilled to see their tiny little brother once again. That same night, three more children were also placed into our home, as their foster parents took a well deserved vacation together, while we served as a respite home for these three boys. This addition of five more children brought our total to eleven children in our home. Indeed, it was a change of pace in our home, and one that we were both excited and nervous about.Fortunately, our own children once again became somewhat of a life saver for my wife and me. With the extra laundry, cooking, cleaning, bathing, and other household chores that came along with a large family, my wife and I would have been quickly overwhelmed by it all, after a hard day at our day job. It was the help of our children that eased this load. Changing diapers, feeding babies, doing dishes, and even reading bed time stories; our children were invaluable to us. If for at one moment our children rebelled at the thought of having more children in foster care placed in our home, my wife and I would have had a much more difficult time of it. When you bring foster children into your home, it can be a difficult time for your own biological children. Take some time to sit down with your children and remind them why you chose to be a foster parent. Share with them the information they need to know about your new foster child. If they are too young to understand why a child might be in foster care, do not burden or confuse them with this information, they will simply not need more information or details. 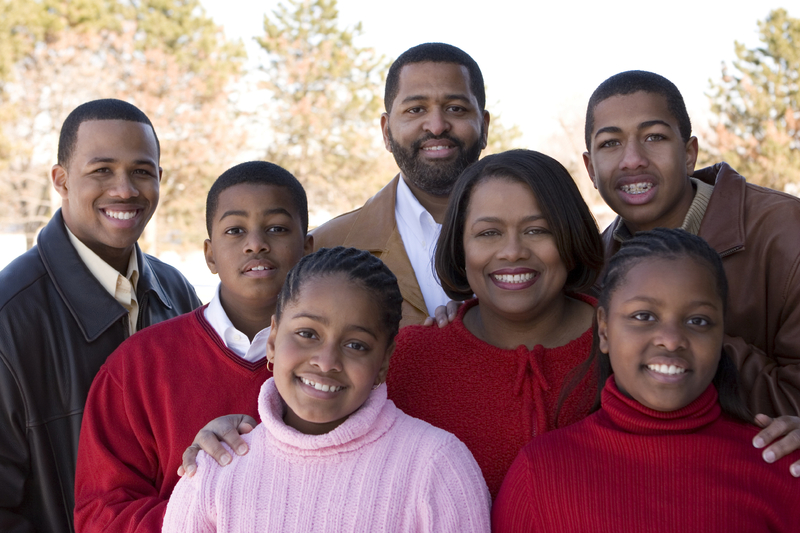 Your older children may be curious as to why the foster child is coming to live with them. Share with them what you know, and remind them that the foster child is probably hurting, frightened, and may reject your family in the first few days and weeks. Tell your children that it will take time to form a relationship with the foster child. Your own children may have concerns. Perhaps they are worried that they will have to share you with their new foster sibling. They may resent that there is a new person joining their family. Ask them to share their feelings with you, and listen to what they have to say. Reassure your own children that you will always be there for them. You will also want to plan on setting aside some special time for just you and your own children, as they will need time alone with you during your fostering. Being a foster family can be challenging emotionally, physically, and mentally. Children in foster care often demand much of your attention, and your love, which they so desperately need. It can be easy for your own children to feel neglected during this time. A little extra attention from you, their parents, will go a long way towards them and your entire family. Posted in: Behaviors, Communication, Encouragement & Support, teens. Around the dinner table, or over the weekends, what do you and your teen talk about? If you’re like most parents, the conversations fall into a few standard categories: academics, work, behaviors, privileges, sports, friends, clothes, chores, or the rules of the house. This is a long list, full of important topics that are worth discussing. But can you think back to a conversation with your child that didn’t revolve around these typical aspects of a teen’s life? Unfortunately, most of what we talk about relates to what our teens are doing (or in many cases not doing). But we often forget to ask what they’re thinking—what their passions and goals are in life. Good communication is essential to establishing a healthy and loving relationship with your teen. When I mention this, many parents of struggling teens tell me, “But Mark, my teen and I talk all the time!” The truth is, talking to your teenager does not necessarily mean that you’re communicating. In fact, too much talk can cover up what really needs to be said or asked. Mom and dad, do you want to connect with your teen in a way that helps them share their deepest hopes, biggest concerns or growing fears? Or is the standard mode of communication between the two of you an endless stream of superficial words, demands, and lecturing? Let me share with you three simple ways you can improve your communication and make a meaningful connection with your teen. One of the most powerful tools in a parent’s toolbox is a good question. With the right question, you can gain entrance into your child’s world and have a greater opportunity to speak into their lives. It’s the same way with adults. When someone asks our opinion, we feel valued. When someone shows interest in our passions and interests, we feel appreciated. Our favorite subject is often ourselves! Ask even a reserved teenager a good question, and you’ll probably find yourself waist deep in a stream of conversation. So what counts as a good question? You can go ahead and forget about questions like “How was your day?” or “What were you thinking?” If a question can be answered in a single word, then it won’t build good communication. And if your question is laced with sarcasm, judgment or meant to embarrass, chances are your teen won’t even hear it. Good questions convey a sense of value and relationship. They are a way to move toward your teen by asking what they think, how they feel, and giving them the freedom answer honestly. What would be one thing I could do for you to make your life better? We’re all known for something. What would you like to be known for? Do you think the music (or movies, TV shows) you watch or listen to influences you, or is just an expression of what you feel, or what you’re in the mood for? What would make school better for you? What’s a lesson about life you’ve learned this week? When you hear someone talk about a “real man” who comes to mind? If you could change one thing about your appearance, what would you choose? Often, just by asking questions, you empower your teens to apply the values you have already taught them. Your questions might also encourage your teen to ask questions of you, so be ready to give thoughtful and honest answers! Maintaining an attitude of respect is a large part of healthy communication. If you demand a level of respect from your teenager, then they also expect a measure of consideration from you. This spills over not only into our words, but also into our tone and demeanor. You wouldn’t yell at, belittle, or talk down to someone you respect, so why would do that to your teen? Show grace and respect in the way you communicate with your child, and they’ll be quicker to respond in the same way with you. Conflict is inevitable when it comes to parenting teenagers. Try and make it your goal at the end of any argument to provide an opportunity for a hug. Just because there’s conflict doesn’t mean the relationship is ruined. Even if I can’t agree with my kids, I still want them to know that they are loved. Being respectful has nothing to do with the consequences you may need to enforce, or the problems that need to be dealt with. Instead, it means maintaining the right approach in communicating with your teen. When you need to address a problem or behavioral issue, I again recommend asking a good question. It can help engage a teen’s thinking process and the system of beliefs you’ve taught them. You may be surprised to find they come to the right conclusion all on their own! Staying silent when our teen is talking isn’t necessarily the same thing as listening. We may hear the words our teen is using, but do we really understand what they’re trying to say? In the many years I’ve worked with kids, I’ve found that they often say things not to communicate valuable information, but simply to process life. Your daughter isn’t necessarily looking for a response when she vents about issues with a homework assignment. Your son may not need an opinion or a solution when he explains his problem with a friend. They may just need a listening ear. Take time to hear what they have to say—without putting in your two cents. A Sunday school teacher once asked the ten-year-olds in her class, “What’s wrong with grown-ups?” A boy responded, “Grown-ups never really listen because they already know what they’re going to answer.” I’ll admit; many times that was me. And if this sounds like you, it may be time to own up to the fact that your listening skills could use some improvement. Being consistent in listening to your child goes a long way in determining his or her willingness to share their deep concerns with you. If a teen shares her heart and it’s misunderstood or met with quick judgments and opinions, they will eventually quit sharing. If our teen is in the shutdown mode, there is a reason. And the reason may be that we aren’t listening anyway. Maybe your connection to your teen is a bit frayed at the moment. A little bit of intentionality and care will go a long way in this area! My prayer is that these three communication methods can help you reconnect with your son and daughter, and help you establish more open, loving relationships in your home. Mark Gregston is an author, speaker, radio host, and the founder and director of Heartlight, located in Hallsville, Texas. For more information and helpful resources for moms and dads, check out our website. It’s filled with ideas and tools to help you become a more effective parent. Go to www.heartlightministries.org. Or read other helpful articles by Mark, at www.markgregston.com. You can also call Heartlight directly at (903) 668-2173. Hear theParenting Today’s Teens broadcast on a radio station near you, or download the podcast atwww.parentingtodaysteens.org. Have you ever found yourself in the middle of a fight with your teen, thinking: how can we be seeing this so differently? Why can’t my teen understand that I’m doing this to protect him? Often, when we argue with our teens, we are fighting for two different things. Parents fight for protection. Teens fight for control. As a parent, we have a tendency to control our kids to protect them. It makes sense. We want to ensure that our kids have the best opportunities for life. But in that protection, our high-control techniques keep them from exercising muscle that will actually strengthen their character in the long run. It’s like getting a new car. When you pull your new wheels into the driveway, it looks gorgeous. It’s clean, sleek, and perfect. And then, you drive it. After you put on a couple thousand miles, it gets dings in the door and scratches in the paint. The shine wears off. You have the choice to keep the car in perfect condition, but you would need to keep it in the garage to do so. The way we control our kids is similar. If you keep them away from the world, they won’t experience the pain and hurt that normally comes with everyday life. But keeping your kids isolated in the garage has an inherent problem: someday they will be forced to drive out into the world. Do you really want the first time your child gets hurt or makes a mistake to be when they are away from you? Whether that’s away at college, or when their primary relationship is with a boyfriend or girlfriend, the mistakes they make will be a lot more costly if they aren’t in relationship with you. Adolescence is about the transition teens make from childhood to adulthood. In order to allow this to happen, they need to have opportunities to make choices in their lives. Teens really want three things: to make decisions about themselves, to feel like they’re in control, and to have opportunities to prove their maturity and to show you that they can do it. It’s not a surprise that they want these things. When your kids were young, they learned about growing up. They used you as their model and formed their own hopes and expectations for adulthood on what they saw in you. Now that they are teens, they are breaking away from having their identity tied so tightly to you as their parent, and because of this, they encounter this struggle for control. As a parent, when you don’t allow your teens to have opportunities for control, they can respond with rebellious behavior. Sometimes, they withdraw from opportunities. They may become aloof or lazy and will just coast through life. Other times, teens can fight for control through making choices without your counsel, or will intentionally rebel against how you have counseled them. At some point, you aren’t going to be able to influence your teen. Whether your teen is out of the area for college, the military, or a job, your ability to speak into your child’s life will decrease. When this happens, what you have done up until that point will be the primary source of guidance that your teen will have to reflect on – so it’s wise to make the most of the time you have with them right now. If you aren’t sure whether you are controlling your teen’s life, ask them! Hey, I’m sure your son or daughter will be brutally honest when you simply ask the question. And an open line of communication is one of the most important things you can do to strengthen your relationship with your teen. Whether or not your teen thinks you are controlling, give them more things to be responsible for. Think about chores around the house, and responsibilities they have in school or extracurricular activities. Every piece of life is an opportunity to give your child a chance to grow his own ability to apply the lessons you have taught them. If you are controlling every aspect of your child’s life, later on, they will not know how to respond to the things that life throws at them. As you give your child more opportunities for responsibility, be ready to support them in both success and in failure. 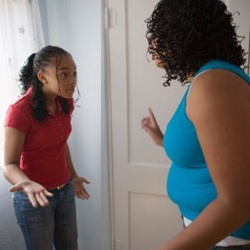 Having your teen become more responsible may be exciting to you in the beginning, but if you don’t build that sense of trust between you and your teen that you will be there when they fail, the responsibility you give them will end up demoralizing and frustrating them. It’s hard to think about your teen growing up. We like the young and innocent phase, and it’s a little threatening when our children begin to emerge as young adults. At times, when your teen makes goofy choices or makes stupid mistakes, you will be tempted to seize control so that you can protect them. The secret is finding a healthy balance to allowing freedom while building trust with your teen. As parents, let’s do our best to stop controlling and start inviting our teens to greater levels of responsibility. The rewards will be rich as we watch them develop into responsible and independent adults. Mark Gregston is an author, speaker, radio host, and the founder and director of Heartlight, located in Hallsville, Texas. For more information and helpful resources for moms and dads, check out our website. It’s filled with ideas and tools to help you become a more effective parent. Go to http://www.heartlightministries.org. Or read other helpful articles by Mark, at http://www.markgregston.com. You can also call Heartlight directly at (903) 668-2173. Hear the Parenting Today’s Teens broadcast on a radio station near you, or download the podcast at http://www.parentingtodaysteens.org.